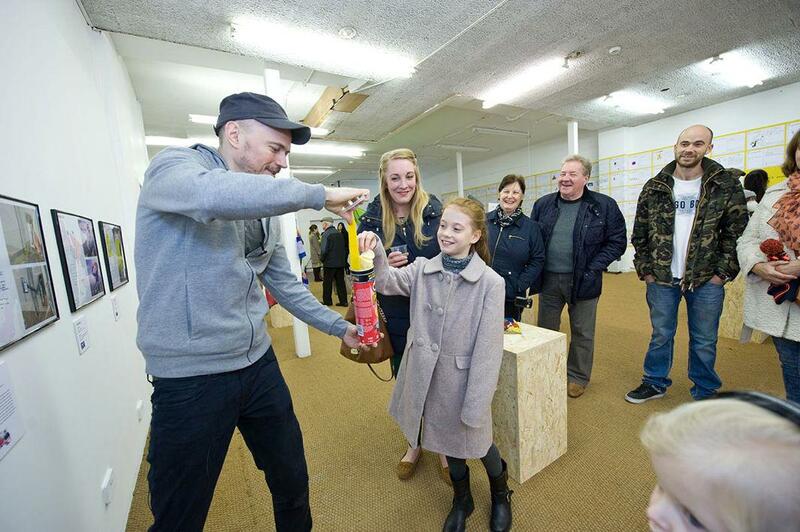 Dominic Wilcox’s Inventors project helped British schoolchildren realize their design dreams. 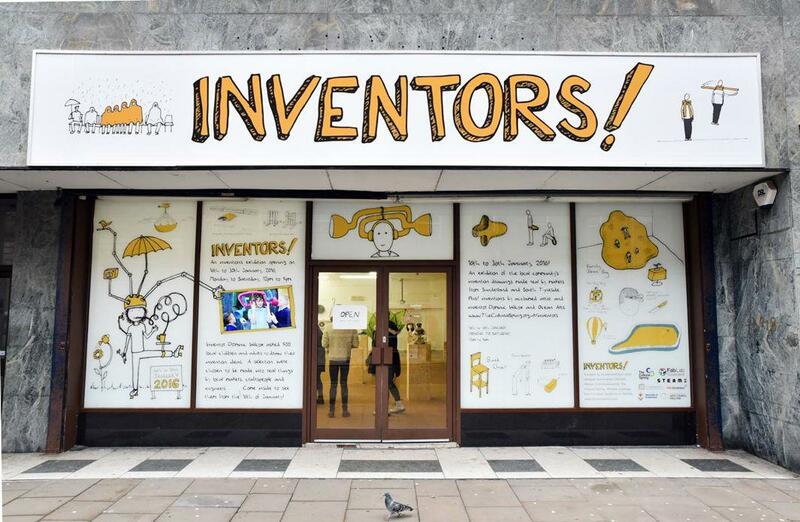 The Inventors project exhibition led by British artist and designer Dominic Wilcox in Sunderland, England, showcases inventions by kids age 4 to 12. British artist and designer Dominic Wilcox is the eccentric architect behind such inventions as a stained glass driverless concept car and a cereal-serving head crane that he demonstrated on The Late Show With Stephen Colbert. Wilcox interacts with child inventors at the exhibition. The children submitted 600 drawings. Daniel Shimmin, 4, dreamed up a shout-activated camera. Katie Symcox, invented a light machine wig, an LED-powered helmet to comfort kids who are afraid of walking home in the dark. Ameliya Liddle, 6, designed a fan-powered food cooler fork that blows cold air on hot food before it goes in your mouth. 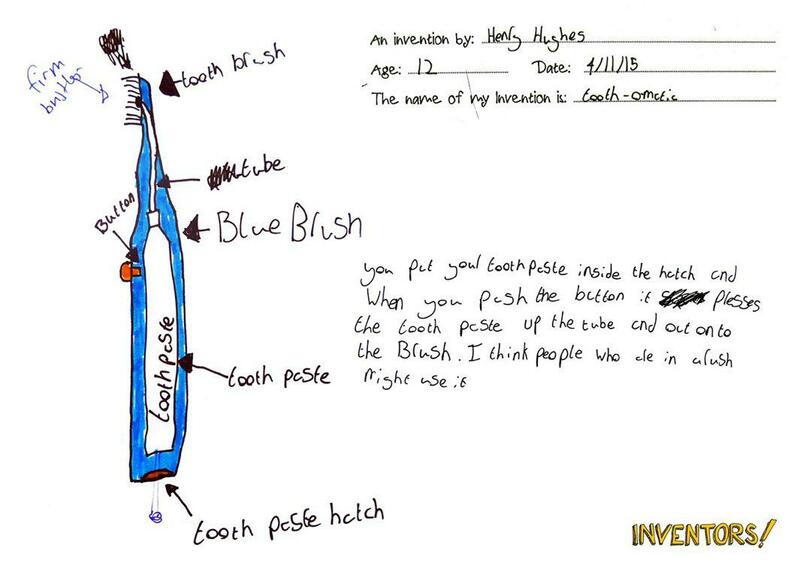 The Tooth-O-Matic, an invention idea by Henry Hughes, 12, made in prototype form by Brian Degger. And while most kids’ artwork is hung on the temporary gallery space that is the refrigerator door before being archived or lost to history, Wilcox took the extraordinary step of persuading local manufacturers to make a selection of these youthful design dreams into real objects. 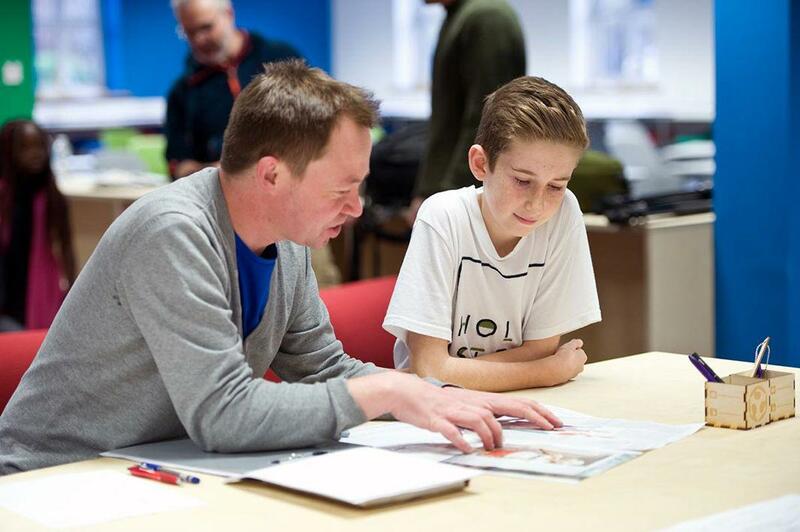 Children were invited to collaborate with manufacturers at Sunderland’s Fab Lab to help explain and flesh out their ideas. The project is a nod to the power of a mentor to influence the creative life of a young person, inspired by the artist and teacher Charlie Holmes, who showed a young Wilcox a book of odd inventions and asked him to draw some of his own ideas, opening up the path to his life’s work. 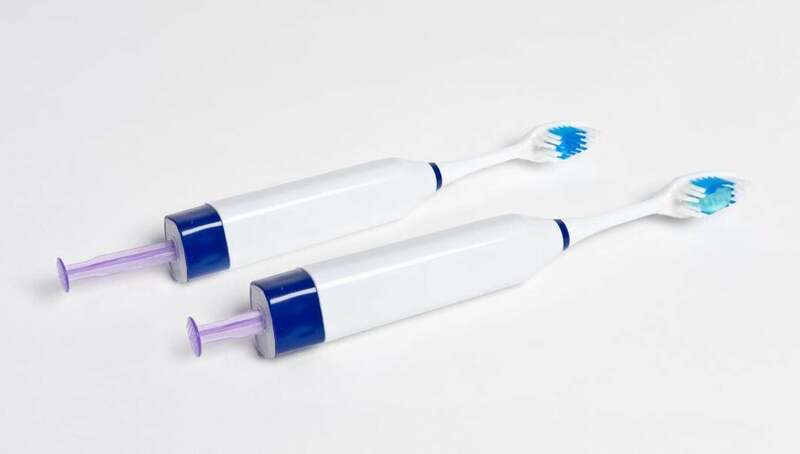 A prototype of the Tooth-O-Matic. A selection of Inventors project drawings and prototypes are on exhibit until Saturday in Sunderland and may tour elsewhere, Wilcox said. The finished objects will then be returned to the young designers. See more design ideas here.